How is Facebook ever going to make money from its recent acquisitions? Shortly after Facebook acquired the popular messaging service WhatsApp for $19 billion USD it acquired the the company developing the Oculus Rift VR for $2 billion USD. Whenever Facebook acquires a new company, some vocal users on the Internet announce that they won't be using the product anymore. This has not hindered the growth of WhatsApp apparently, which jumped to 480 million active users worldwide up from 430 million users two months earlier. Reactions to Facebook's acquisition are similar this time around. 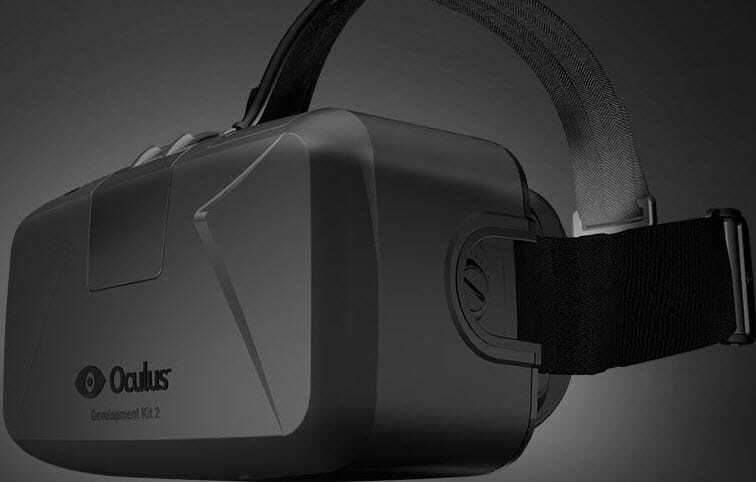 Users claim that they won't buy the device anymore, and at least one prominent developer, Minecraft creator Marus Persson, revealed openly that Minecraft won't be coming to the Oculus because of Facebook's acquisition. Whenever I read about another multi-billion Dollar acquisition by Google, Facebook or Microsoft, I wonder how they are going to make money out of it. If you take WhatsApp as an example. The current user base is about 450 million users. If each user would pay the one-year subscription price, WhatsApp would generate about 450 million Dollars a year (it is less than that but less round it up to that). Even if the user count grows to 1 billion in the next one or two years, it would still generate only a fraction of what Facebook bought the company for. The same for Oculus. Buying a company for $2 billion that has not even released a product yet? While Facebook may bet big on its two recent acquisitions, the main reason why the company bought the two other companies lies in the future. WhatsApp's growth combined with plans to add new features such as voice calls to the app may improve the applications revenue generation in coming years. If you only look at the current user count and revenue generation, you cannot possibly justify the $19 billion that Facebook paid for the company. But if you take into account the future vision, to become a messaging application that covers all bases, then it is quite possible that these additional features may either be bought as add-ons or that the current yearly subscription price may be increased once those new features launch. And for Oculus, it is the same thing. If you take into account the future applications that the Oculus and its improved versions that will come out in the next decade offer, then you may be able to justify the price that Facebook paid. If we are going to spend time using virtual reality devices in the near future, then it can very well be that the Oculus may play a major role in that. Mark Zuckerberg hinted at some of it on Facebook where he announced the acquisition officially. I cannot really see it work well in its current form though as it is a rather clumsy big device. But improvements will be made to make it lightweight and more attractive to the general public. So, what is your take on this? Is Facebook burning money here, or is the company setting itself up for the next decade? facebook goes virtual you won’t need real friends anymore and actually you’ll lose a sense what is real and what’s not soon enough. Someone on the Reddit thread where I first heard about this mentioned that the majority of the $4 billion price tag was paid in Facebook stock—Facebook stock that is likely to plummet in value over the next few years as the userbase grows increasingly frustrated with the site and their blatant indifference towards user privacy. The last time I used Facebook was some time in 2006. No one in my peer group or younger spends time on it anymore, the growth seems to be happening among an older, less privacy-conscious generation. So the strategy theorized on Reddit was that Facebook was dumping its own stock, which is currently overvalued, and using it to purchase companies that have demonstrated growth potential to counteract its own downward trend. Of course, these companies are prohibited from selling the Facebook stock for some period of time after receiving it, thereby preserving Facebook’s stock price in the short term, long enough for Facebook to make yet more acquisitions. I have no idea if any of this is true or just made up crap, but it does seem to make sense. Facebook is leveraging its current dominant status in social media to buy itself a future once everyone has finally had enough of its main data-mining business. That’s a good point, but depending on when the shares change hands, they may be able to sell them right away (unless they are not allowed to do so). It gives me the feeling that these big tech companies are seeing that their core business has no more room for growth and they are increasingly desperate to find other growth areas by making huge gambles with their huge cash pile. For example, no one really knows virtual reality (Facebook) will be the wave of the near future. Or robotics (Google). Or advanced artificial intelligence (Google). Even if any one of them will become the next big thing in the near future, it isn’t clear how they can be monetize to make the acquisitions good investments. Do they really have a plan or strategy for the future? Or all these acquisitions the result of fantasy pipe dreaming disguised as ‘futuristic forward thinking’? Maybe it is an indicator to short their stocks?﻿ I can imagine massive write downs on their balance sheets in the years to come. Google has already written down a huge part of their Motorola acquisition. I can smell more to come. …sell your information to advertisers? …sell your information to NSA? I have been following Oculus from since John Carmack started talking about it and was 100% going to buy the consumer version. After the facebook announcement I won’t. I hope Sony brings their device to the PC now and that it is a big success. Screw facebook, won’t touch anything they have their hands in. This is supposed to be a tech oriented blog. I just can’t see how users here would favour supporting rootkits offenders over privacy serial offenders. Maybe that’s because they’re the same? On the other hand, maybe a lot of geeks and nerds aren’t old (!) enough to remember the infamous Sony rootkit and fail to learn even recent history. If this (quoted) post is any indication, Facebook and Google might get away with anything : they merely have to wait for the public memory span to reach its limit. 18 months? Besides, who outside of the geek world really noticed/cared back then? Why should it be any different today? I’m more interested in the business models justifying Facebook spectacular bets than in some geek whining over something he’ll have wiped from his neural network in months. Google is a whole other thing, let’s not panic and put them in the same league. They’re not. 1.8 billions actually is a sweet deal. IMHO, Google are the ones we should watch and worry about. They’re the ones with the solid vision. Personally I am convinced this will a moneymaker much bigger than Facebook ever was or will be. Even the total amount that is made by selling television units will be surpassed. This is the perfect machine for all the people in a increasingly isolation orientated society. with as consequence, that the money making gates (because of the total amount of selling units) will be wide open.